One thing I love about our little project to internationalize our upcoming holiday meals is how and from where recipe inspiration can come from, literally anywhere. For example, I had no idea about any type of dishes from Serbian cuisine, but we were really pleasantly surprised to learn about how many amazing recipes are out there, let alone the ones that would perfectly fit the bill for our “global substitutes for the holidays” criteria. 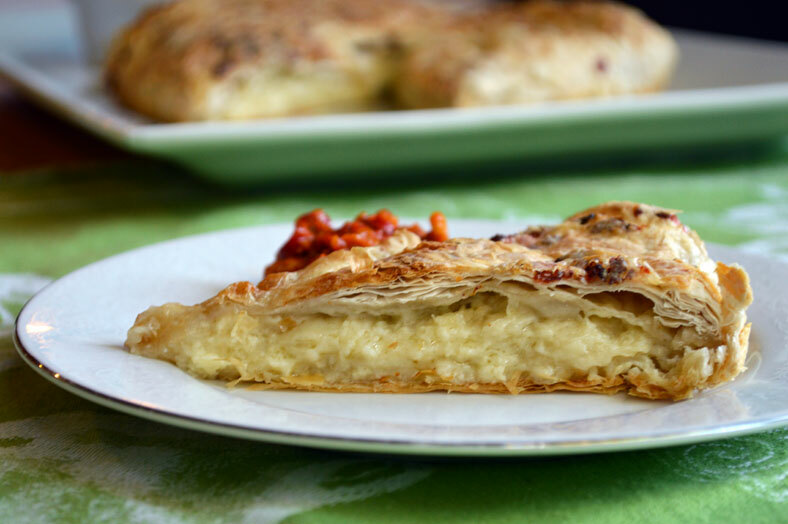 Above all other Serbian recipes, though, discovering the cheese pie that is Gibanica was the best of the best. Gibanica (pronounced gee-bah-neet-zah) is a traditional cheese pie dish made in Serbian cuisine featuring primarily white cheeses, eggs, and layered phyllo dough. It’s a fan favorite all over the Balkans, either as an everyday dish for the Serbian family or for more festive occasions. It’s not uncommon at all to find cheese pies like this at the table for big family events like Christmas and Easter. 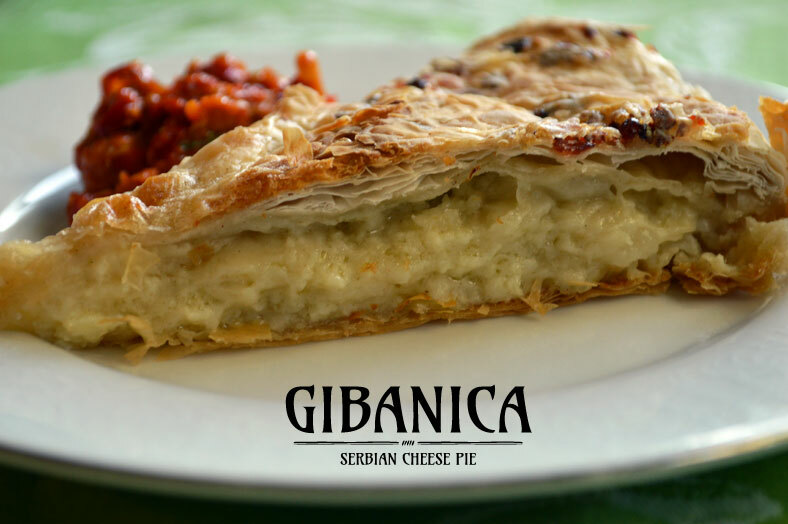 Traditionally, gibanica was originally made using cow’s milk cheese, although we’d also come across other cheese pie variations that used other cheeses like feta instead. We could be completely wrong on this one (and please let us know if we are), but the key to a good gibanica isn’t so much about the types of cheese you use as opposed to how you actually prepare it. Make no mistake: there is a special art form to making a good gibanica. Thankfully, we came across an incredibly helpful and entertaining video on how to make this cheese pie properly, which certainly helped make the learning process a ton easier. But still… even after three attempts, we still don’t believe we’ve got the gibanica artform down pat by any means. We have definitely gotten a whole lot better than the first time, though. 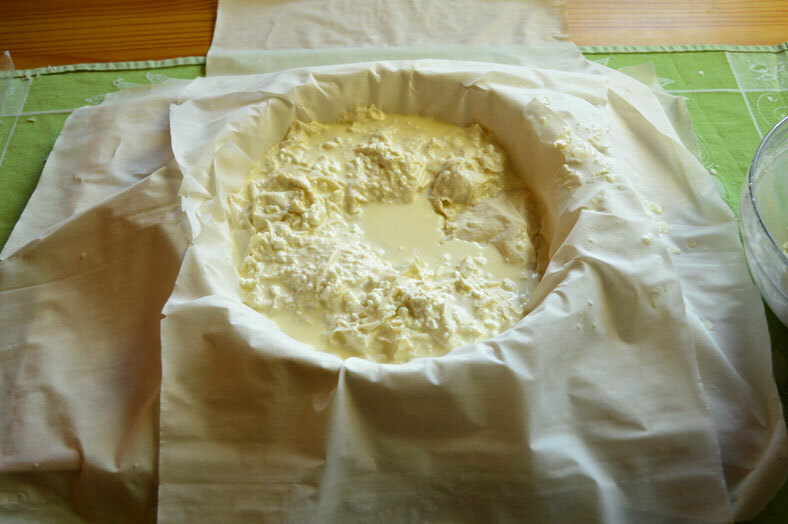 The first stage of making gibanica is to prepare what we’ll affectionately call the “cheesy slurry.” This involves whipping together all the wet ingredients – the eggs, the cheeses, the milk, the oil – into a mixture that has a really, really runny consistency to it. Even with Chef Baba showing us the way, it was hard to not have doubt creep in that we were making it too runny. As you make it yourself, though, don’t fret as we did since it’s all by design. Once you have the slurry ready to go, only then do you bring out the phyllo dough to prepare the pie. 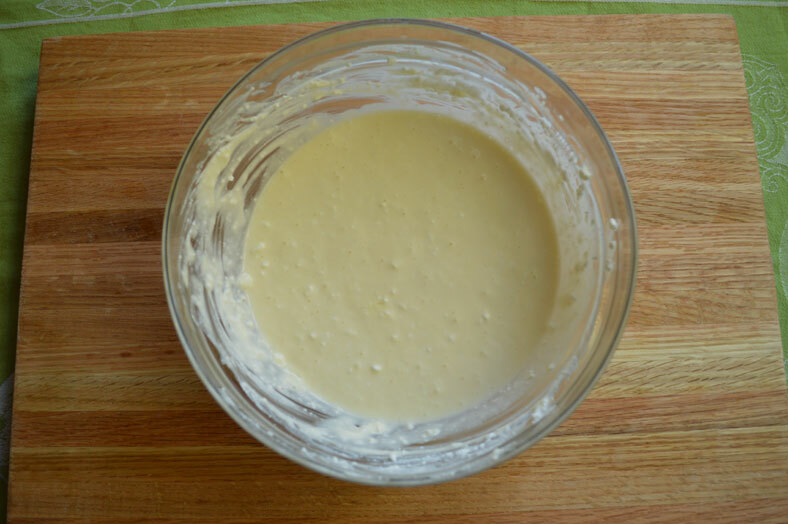 In general, phyllo dough as an ingredient is incredibly fickle. As you remove it from the packaging, it will have a gummy type of feel to it, but rest assured this is incredibly short-lived. With the sheets of dough made so thin, you not only have to be careful not to rip them, but they will dry out and brittle incredibly fast once they’ve been exposed to air. Making the cheese pie itself is thus, in essence, a race against the clock. 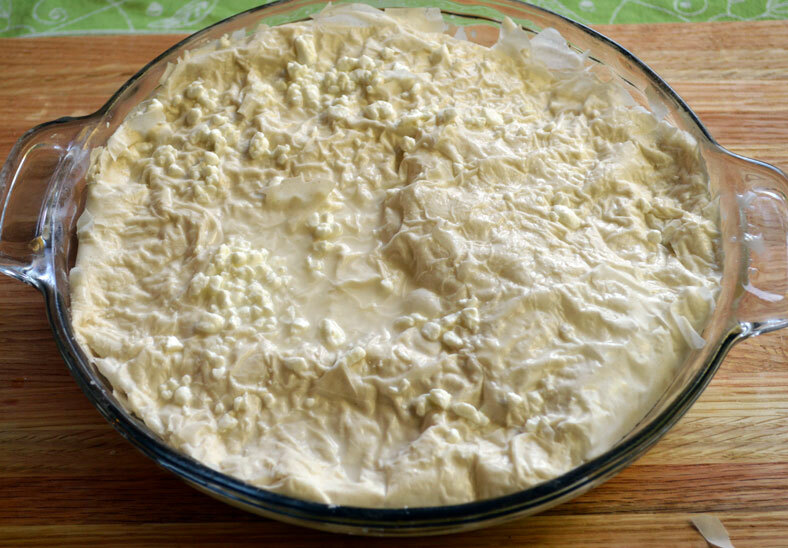 The key to making an authentic gibanica is to prepare it with guzvara, or roughly translated as “crumpled pie.” Once you have lined your baking dish with a phyllo dough for your eventual crust, the pie’s filling will be this guzvara, or torn and crumpled up sheets of phyllo dough that have been dipped and run through the cheesy slurry mixture. According to Chef Baba, the best way to apply this guzvara into the cheese pie is to start from the outside of the crust and move inwards into the middle. And again, you’re racing against the clock to fill your cheese pie and seal it before the phyllo dough becomes brittle. Once you’ve successfully closed and sealed it, though, the time pressure is all gone. In fact, it’s even beneficial to sprinkle and soak the gibanica with additional water and olive oil before placing it in the oven! Considering this was our first foray into the very interesting world of Serbian cuisine, we wanted to stick as close to the original ingredients as we could. 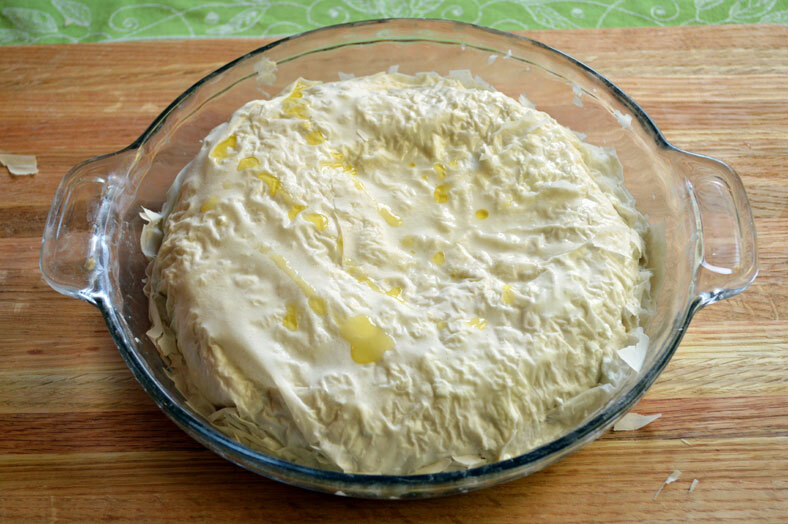 We did use cottage cheese and whole milk like the original cheese pie recipe suggested, although we did swap goat cheese in place of the cream cheese Chef Baba used. This is more a personal preference than anything else for Heather and myself. Goat cheese tends to be a healthier and more nutrient-rich option than cow’s milk, and it can be more agreeable for those that might have a lactose intolerance. On top of that, we just really like the smoother and almost sweeter taste that it can bring. For our gibanica, too, we made a traditional Serbian condiment to have with it. Ajvar is an absolutely delicious charred red bell pepper and eggplant spread that could easily put any ketchup to shame. With the smoothness of gibanica, adding just a little bit of ajvar gives a fun little kick to every bite. We’ll show how with another post for another time. Would you serve gibanica at your holiday table? Leave a comment and let us know! Stage 1 - Create your Slurry! 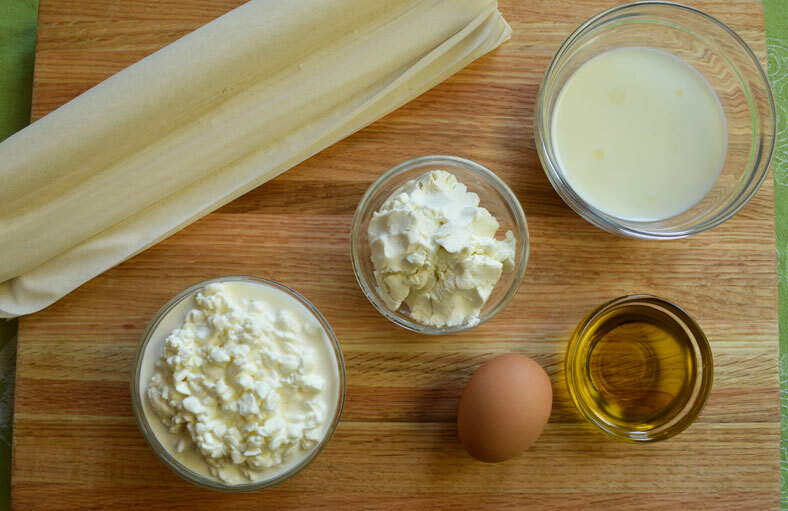 Tear off sheets of phyllo dough and dip into the slurry. 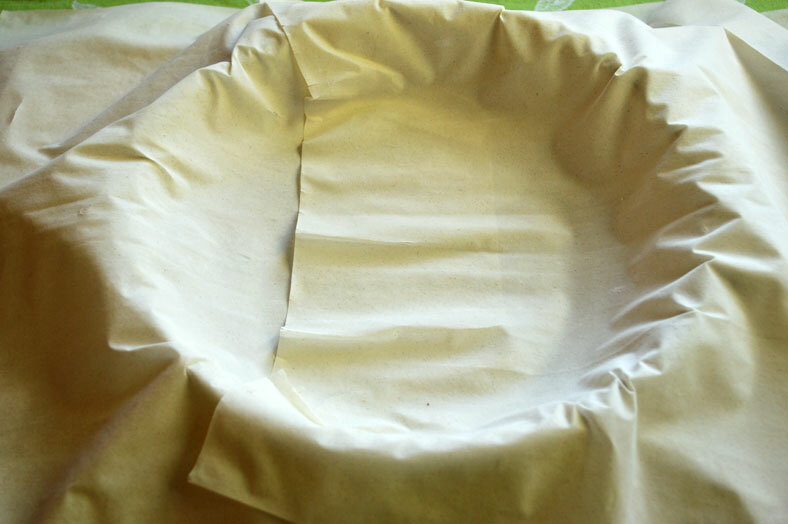 Start by placing wet sheets of dough in the outside of the baking dish and moving inward. Stage 4 - Bake your Gibanica!